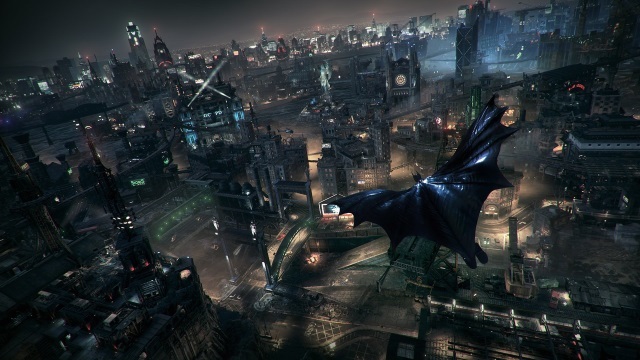 Batman Arkham Knight finishes what Arkham Asylum started. It is the last game of the Arkham line-up, and throughout the game, you can feel the finality. Rocksteady manages to surpass themselves once again with another amazing Batman game. Arkham Knight brings all the villains and Batman’s allies into this game, which makes for a grand ending. Arkham Knight is also a story dependent game. This story revolves around Batman’s psyche and the anti-batman created to stop Batman known as the Arkham Knight. 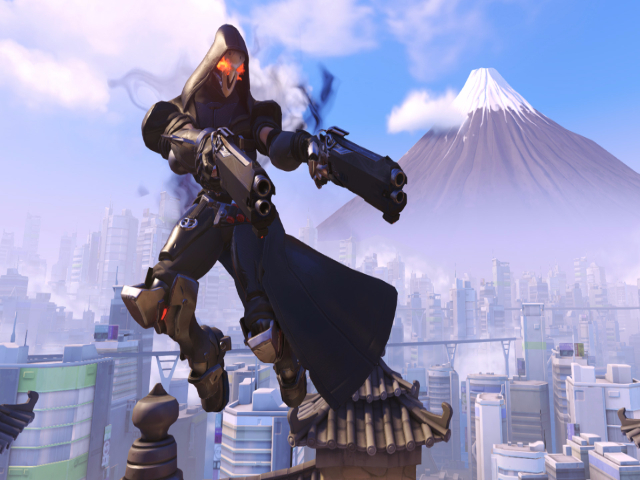 Overwatch is an excellent mix of design, artistry, and gameplay. The game is based on a 6v6 multiplayer, objective-based gameplay, with many goodies and characters to choose from. 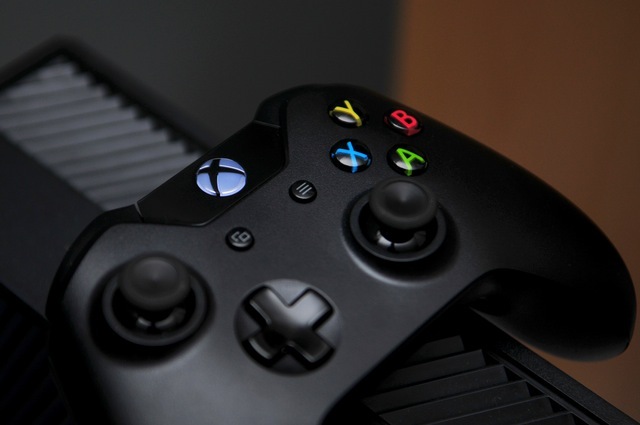 Unlike traditional shooter games, this game broadens the traditional skill set. 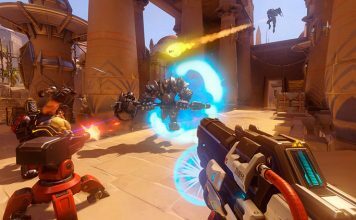 Overwatch does not value someone with just perfect aim who hits the bullseye every time, or someone with perfect strategy. This game equalizes the worth of all these skills, and this translates into a beautiful multiplayer game. It does have a suite of different characters, each with individual skills with no two characters being the same. 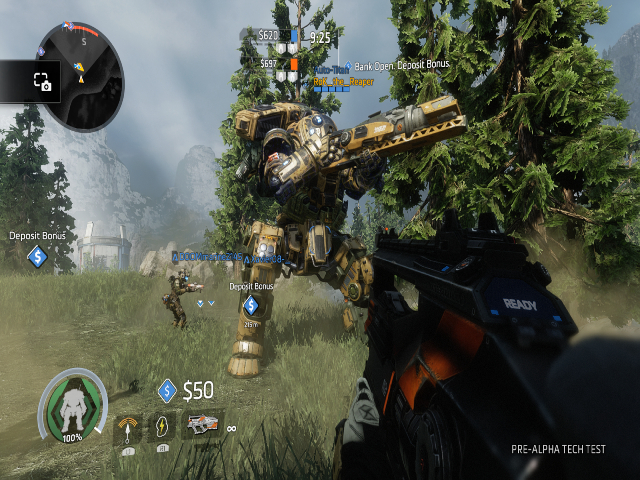 Titanfall 2 is set on the planet typhoon with the main characters being a human and a Vanguard-class titan BT-7274. The single player story consists of nine chapters, covering everything from massive factories to natural forests, showcasing the game’s beautiful designs. Titanfall 2 merges natural shooter movements with astounding new puzzles and mazes. The player is expected to combine the different skills acquired to beat several different courses. For instance, using cranes to maneuver, or jumping wall to wall. With each passing course, different mechanics are introduced to keep the game fresh. 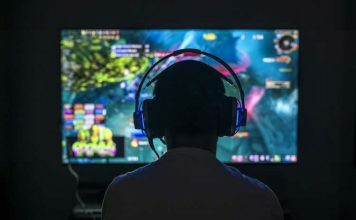 The game is not limited to its single player mode. It also has a well made multiplayer mode with different Titans to use and fight against. 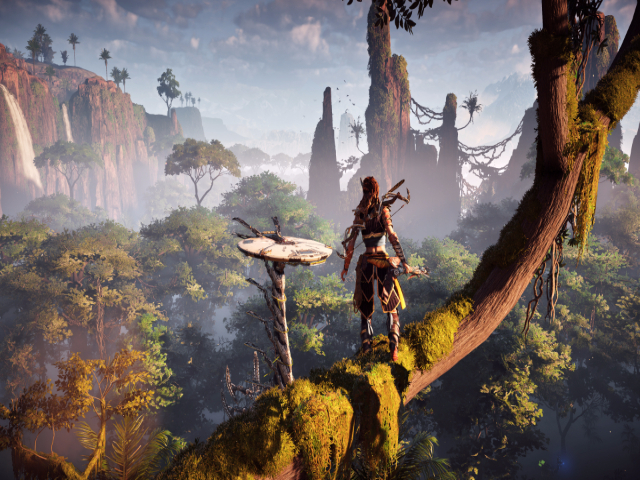 Horizon Zero Dawn is a PS4 exclusive and a brand new game world. It is an action-role-playing game with extensive landscapes and boundaries. Horizon Zero Dawn has a mysterious vibe throughout and the game is started with a sense of urgency. The game is amazing, with voice acting and an amazing combat mechanism. The protagonist’s personality also plays an important part in making the game worthwhile. The game is set in a post-apocalyptic world where you hunt down animal-like machines. The use of weapons like bows make the game more strategy-based as you have to think about the actions. Furthermore, it is also enhanced for PS4 Pro. 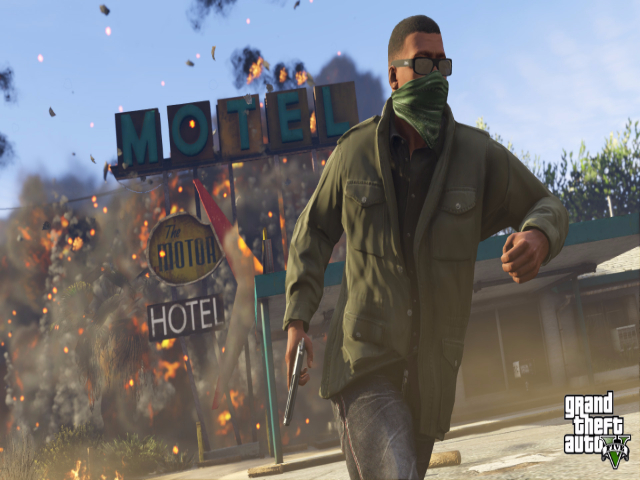 GTA V is one of the most popular games available for the Xbox One and PS4. It is an open world game with one of the largest maps to be in a game. The game is massive with many missions to sink your teeth into. Guns, girls, cars, you name it and it is in GTA V. Apart from the missions the game introduces a first-person mode, which makes a huge difference compared to the version available on previous generation consoles. The gameplay is amazing, where even without doing missions, you will be entertained. Stealing cars and killing innocent people are easily the most entertaining moments, despite the extremely well thought out missions – which are no slouch either. 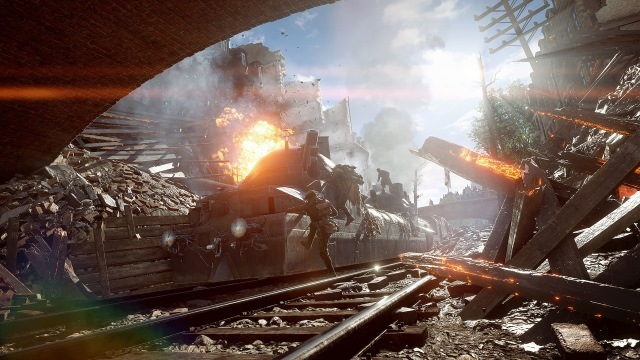 Battlefield 1 is a game which recreates one of the world’s fiercest wars – World War 1. In this game, you are thrown into battle, reliving the fates of the soldiers who fought in this war. Battlefield takes a simple approach to its gameplay. There are no special skills or characters, but it is the hauntingly beautiful reality of the game’s story, which makes it so good. The story mode consists of five war stories with each one staying true to what happened and not being exaggerated, along with an exceptional multiplayer mode which uses all the old-school arsenal of World War 1 with excellence and with a well-balanced combat style. 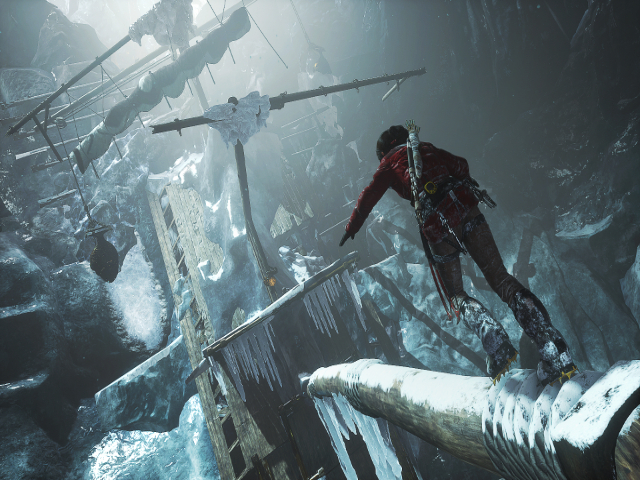 The Rise of the Tomb Raider is a sci-fi adventure game common to both the consoles. It is the sequel to the Tomb Raider which came out in 2013. The plot revolves around the search of an artifact which promises eternal life, and this plot plays out in a fun way with some decent tense scenes as well. Well, there is also a bigger plot which plays out and focuses on the relationship between Lara – the protagonist – and her late father. Apart from the story, the gameplay is excellent as well. There are many challenges and puzzles, and many other interactions with the world. The third person shooting and hunting are examples of such interactions. Lara Croft also has an arsenal of weapons and tools. She has arrows, grappling hooks to help her climb, smoke bombs and much more. Gears Of War is an Xbox exclusive game, and one of the best of all the exclusives currently available for the Xbox. 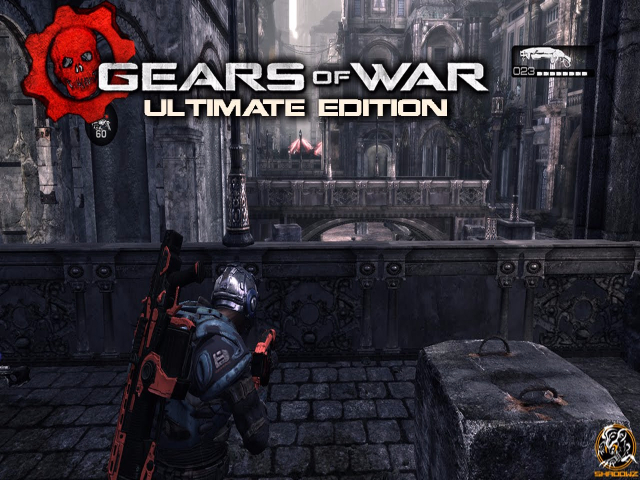 The Ultimate Edition is a remaster of the original Gears, but despite the nine years gap between the original and this remaster, the game still feels fresh and amazing. Gears Of War is one of the few game which exactly tells you what it is. The game is loud and clear and demands your attention. It is a shooting game at its core, but with a different story. The story follows the rise of the rock people which are killing everyone. Your job is to stop them with the help of your partners. There are numerous guns which are fast and powerful and are lethal to your opponent as well as yourself if you get hit. Metal Gear Solid 5 is a sandbox adventure game, which allows a lot of freedom and flexibility. It has amazing graphics with astounding sceneries and manages to turn a variety of complex systems into something playable and compelling. The gameplay is one of the best ones from the entire series and is led by a narrative which enhances the gameplay quite a bit. You play as Big Boss and the story continues from the game Metal Gear Solid: Ground Zeroes. The game’s flexibility is shown when you approach an enemy base. You can attack in a variety of ways. Whether it is to go in undetected and kill the cameras, or just straight up blow up the enemy’s helicopters, it is all on you. The AI of the game is the reason all these things work so effortlessly with each other, as it ties the game together and makes it an amazing experience. 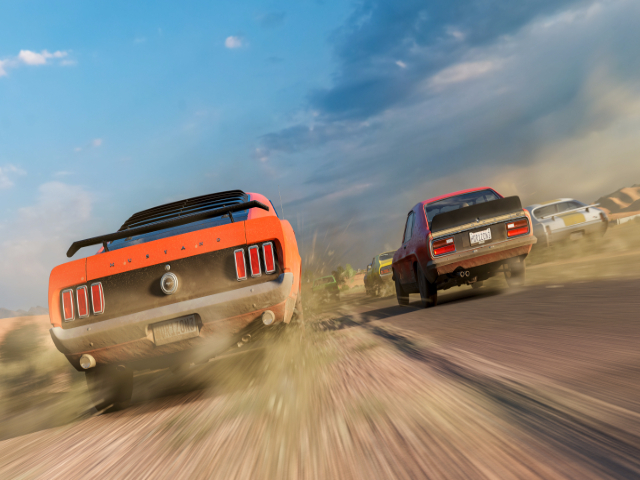 Forza Horizon 3 is the best spin-off from the Forza Motorsports series. While the original series focused on grand tracks, the spin-off series focuses on Australia’s off-road tracks as its playing field. It is a racing simulator at its core, but the fact that you can launch a car off a cliff and have it land perfectly without damage makes it so thrilling. The game has festivals; which is like the regional hubs of Horizon 2: You have multi-stage events where you race to the nearest tent with music blasting off. This makes the game more fun and fits the music perfectly in the game. Every event has different activities, and you can unlock up to 50 activities, as you increase followers. The game has amazing controls, and the main campaign mode focuses on building a reputation. This is by far one of the best racing car games made. Dark Souls 3 pushes you right towards the apocalypse and into a dark and grim world. 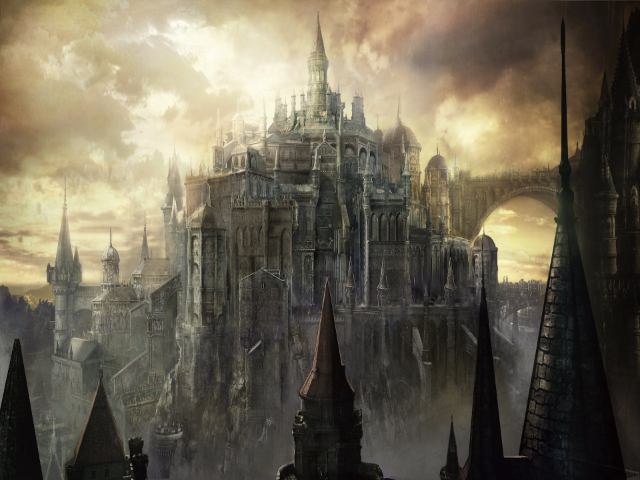 The game is set in a mythical realm called the Kingdom Of Lothric. It is one of the most visually appealing structures made by the developers, and the graphics throughout the game will mesmerize you with its dark beauty. The game has numerous levels, with most of them being extremely hard. Hard enough for you to be knocked down over and over again. The levels are dense with many things to do, yet without forcing them upon you. You can explore one part of the level for hours, and yet still be rewarded with a story revelation. The game has many interconnected paths such as mazes and shortcuts to get you from one place to another. There are dungeons with enemies you have to defeat, and like many other open world games, exploring and breaking stuff rewards you with money. For combat, Dark Souls 3 introduces Weapon Arts, which allow you to destroy enemies with weapons such as huge swords, or craft something to demolish them. There are many strong enemies and even stronger bosses. So the game will have you on your toes. The remastered version of The Last Of Us takes the single best game on the PS3 and makes it so much better. From 720p 30fps, it now runs on 1080p 60fps on the PS4. This alone makes the game so much smoother and better. Furthermore, the game also introduces focus mode which allows you to change filters and lighting. The game also includes the DLC prequel of the game. But for those who haven’t played the game, The Last Of Us is a Sony Exclusive, and an amazing story driven game with beautiful graphics. The stage is set in a post-apocalyptic scenario with two characters- an adult and a child. The game has a well-written narrative, where with each passing moment, something new about the characters are revealed. 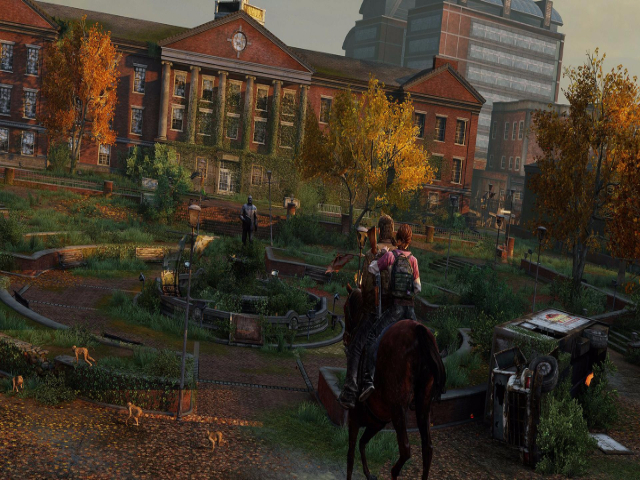 The two characters are called Joel and Ellie, and as you play the game their relationship develops into a father-daughter one. The game has its emotional parts, but there is a lot of killing involved as well. It is really satisfying to stealthily kill your enemies. 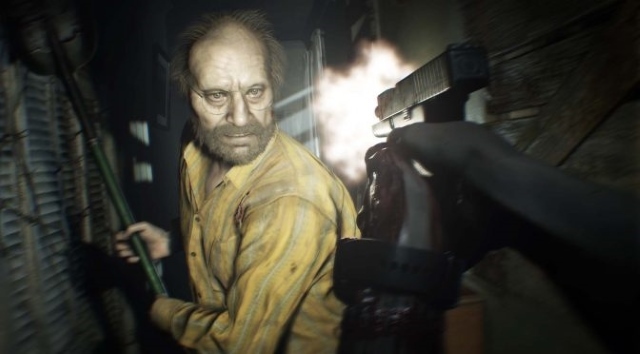 Resident Evil 7 is another game in the horror adventure series Resident Evil. It takes a first-person shooter approach, and this new angle and setting help Biohazard to stand out as one of the scariest game in this series. The game has a strong setting, thanks to the Dulvie Plantation. It also has a decent storyline, which we can’t say much about because of spoilers. But what we can tell you is that apart from the shooting, there are puzzles and mazes which you need to go through, and find solutions to. The Baker family contributes to the story, and are one of the first enemies you will face. Each member has a personality, which makes killing them even more interesting. The gameplay focuses on tense actions and your ability to adapt to these situations, and thus makes for an amazing horror game. Halo has long been one of the best exclusives Xbox has to offer, and with this iteration, it is no different. Halo 5 is an amazing game with loads of guns and enemies. Halo 5 has the best game mechanism, along with the best combat system of any Halo game. The game also consists of extensive maps and an amazing multiplayer mode. 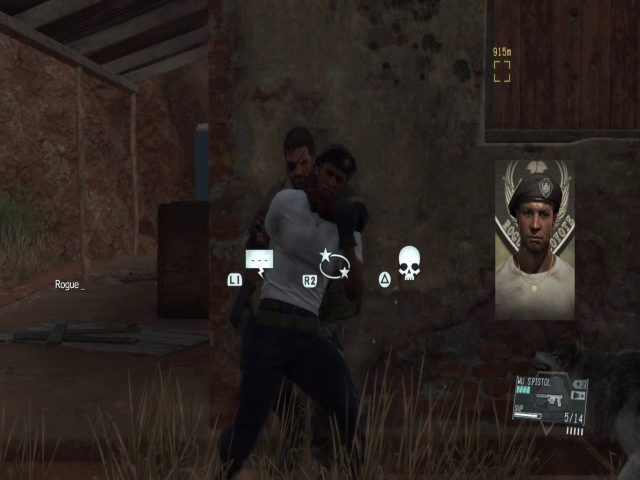 The game follows a story where you play as a military leader called Locke. His motives are standard to other military characters, such that he only wants to complete his mission, and not want anything for himself. 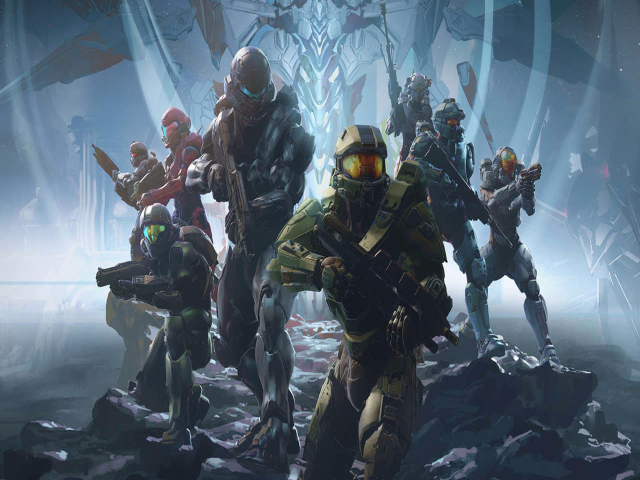 Guardians have characters from the previous games as well, so if you have no clue about Halo’s extensive universe, you should play the previous games, or at least read about the characters if you want the best experience. Every level of Halo 5 has something in store for you other than the gunfights. There are collectibles, guns, and much more which you will have to explore, making this game good for replaying. The co-op mode has you and your friends search these levels, and use teamwork to kill and find. 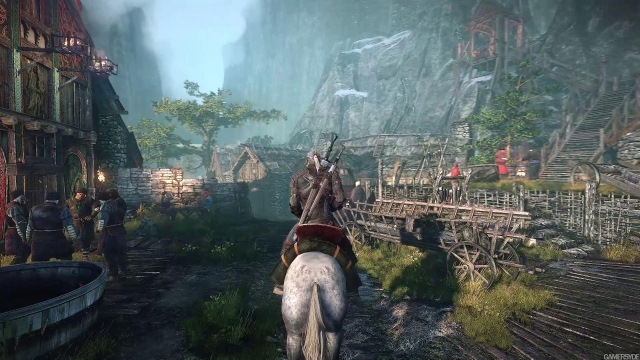 The Witcher 3 is an open world role playing game, which has an expansive world full of rewards. The sceneries are mesmerizing; there is foliage, multiple fields, day and night cycles, and much more which makes the world of Witcher 3 really authentic. The main storyline focuses on finding Geralt’s lover and her surrogate daughter. In this process, you will have to do countless tasks for people to gain information about them. Though, the beaten path is where the game gets even more interesting. This is where you will be offered alternate quests, in which you will find love triangles, turfs of wars and assassinations. Other side quests are also present, such a monster hunting, which also give you an idea of the large world you are in. 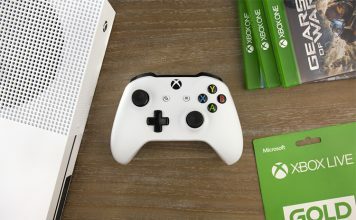 If you want single-player games on your favorite console then this list will give you plenty of choices to try out in single-player mode. 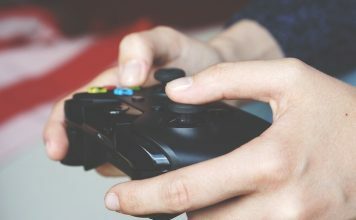 Some games even have multiplayer modes, so you can even give them a whirl if you are bored or done with the single-player mode. Well, that was out list, do make sure to tell us more about your favorite single-player games on the Xbox One or PS4 or both.